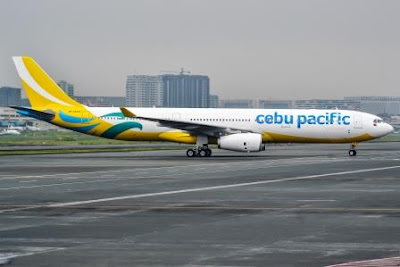 Aviation Updates Philippines - Low cost carrier Cebu Pacific Air earlier announced the airline will be dropping its services from Manila to Kuwait, Doha and Riyadh amid tough competition between the big three gulf carriers. DROPS MIDDLE EAST, REASSIGNS A330. Cebu Pacific will be dropping flights from Manila to Kuwait, Doha and Riyadh. It will reassign its A330 to serve more flights to Hong Kong, Cebu and Davao starting July 4, 2017. Photo by Cebu Pacific Air. According to a press release, the low cost airline will fly the last of its four-times-a-week service from Manila to Kuwait on June 13, 2017, and its Kuwait-Manila flight on June 14, 2017. The thrice-weekly Manila-Doha-Manila route will have its last flight on July 1, 2017; while CEB's last flight from Manila to Riyadh, Saudi Arabia will depart on July 2, 2017, while the Riyadh-Manila flight will leave on July 3, 2017. "The entry of Cebu Pacific into these markets benefitted passengers with lower fares and more choices. Of late, other carriers have aggressively added more flights, which has resulted in substantial oversupply of seats and fares that are so low, hence making the routes unsustainable," said Atty JR Mantaring, Vice President for Corporate Affairs of Cebu Pacific. "We have to continuously review our routes to ensure their viability. At this point, it makes more sense for us to re-deploy the aircraft used for our Riyadh, Doha and Kuwait service to routes where we can further stimulate demand and sustain our low fare offers." However, Cebu Pacific assured it will continue to serve flights to Dubai and as well as Sydney. It stated that there is a possibility of increasing flights to these destinations in the future. The airline also flies to 24 other international destinations across Asia and USA; as well as 37 domestic destinations. For affected passengers, Cebu Pacific offered options of rebooking to other airlines, full refund or placing the full value of the ticket in a travel fund for future use. After dropping its services to the middle east, the airline will reassign its Airbus A330-300 aircraft to ply the airline's top destinations. In a press release, Cebu Pacific said it will increase frequency and capacity of flights to Hong Kong, Cebu and Davao offering 59 percent more seats. Several flights will be upgraded from the 180-seat Airbus A320-200 aircraft to its 436-seat Airbus A330-300 aircraft in the second quarter of the year. "Starting July 4, 2017, CEB will be increasing frequency of its Manila-Hong Kong route by 50%, resulting in thrice-a-day flights, or a total of 21 flights a week, from the current twice-a-day. CEB will also use the A330s to fly between Manila and Cebu three-times daily, or 21 times a week; while the Davao hub will get a boost with two additional daily flights to and from Manila, bringing frequency to four times daily, or 28 weekly flights. The upgrade from a 180-seater A320 to a 436-seater A330 makes available an additional 256 seats for each flight, or 59% more capacity," the airline said. Cebu Pacific recently announced it will add five new routes connecting Visayas and Mindanao scheduled to take flight in July. Cebu to Masbate, Cagayan de Oro to Zamboanga, Davao to Dumaguete and Tacloban, and Zamboanga to Cotabato will be operated by an ATR 72-500/600 aircraft from Cebgo.